Kimberly Lasseter, Senior Director in Oracle's Worldwide Alliances & Channels organization, is responsible for the Oracle PartnerNetwork-- an ecosystem of over 25,000 partners spanning over 148 countries. She is an accomplished channel executive with a track record of building and leading top-producing partnerships and sales initiatives within direct and indirect technology-based selling environments. Since joining Oracle in 2010, Kimberly has been instrumental in initiating numerous enhancements to the OPN program to continually increase business opportunities for Oracle partners and to benefit our mutual customers. Most recently she has focused on evolving the OPN program to enable partners to take advantage of Oracle's phenomenal growth in the cloud. 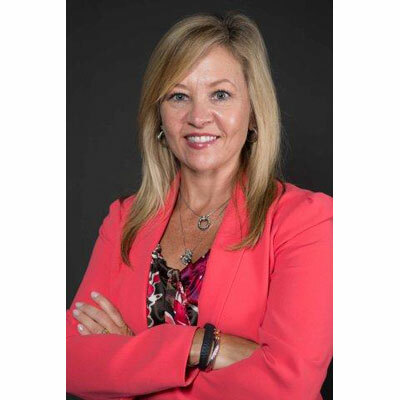 Prior to Oracle, Kimberly was Director, Global Sales and Services Marketing at Sun Microsystems, Inc. responsible for the Sun Partner Advantage Program. During her 15 years at Sun Microsystems she held various strategic roles in direct and indirect sales, sales management and marketing. Kimberly holds a Bachelor of Science degree from the University of Houston and an MBA from Baylor University. The rapid growth of Oracle's Cloud business highlights a critical need to expand our consulting ecosystem of highly qualified implementers to ensure a successful Oracle Cloud implementation. As such, my organization has launched a new Oracle Cloud program focused on supporting Oracle's drive to deliver customer success with Oracle Cloud. We are evolving OPN to identify, recognize and differentiate highly qualified consulting firms that demonstrate ongoing expertise, successful track records and superior customer satisfaction in Oracle Cloud implementations by specified geography and cloud service module. The new cloud program will enable us to build and identify an ecosystem of qualified consulting firms with proven, relevant skills and expertise to deliver successful implementations. It will create a robust and globally consistent program to drive Oracle Cloud customer success ensuring our customers realize the full value of the Oracle Cloud implementations. We've seen tremendous momentum with cloud in the last 12 months - and the launch of this new cloud implementation program will create the foundation to underpin that success. I will continue to look for ways to evolve our partner program to better serve our partners and our customers. Partners will continue to see updated marketing, sales, enablement and development benefits that will specifically relate to the type of business they do with Oracle. Our strategy is customer centric and continues to focus on Cloud first, collaboration and customer advocacy. I believe NOW is the time for partners to capitalize on the digital revolution by taking their customers into the Cloud - and hope our programs will provide them a clear path on their journey. I was very honored to be recognized as one of CRN's 2017 Women of the Channel for my continued contributions and impact in the channel. Additionally, I was recognized by my Group Vice President as an outstanding performer. She noted my abilities to drive and manage change in extremely complex situations and well as my ability to collaborate across global organizations as key to my outstanding performance in 2017. I admire Dina Dwyer-Owens, the co-chairwomen of the Dwyer Group, for leaning into her values and sharing her journey to inspire others to "Live R.I.C.H:" Respect, Integrity, Customer Focus and Having Fun! Her gifts are leading by example and living true to her values. She's recognized as a leader in her field of franchising as a business format, and supports veteran- and women-focused advancements. I know Dina personally. We grew up and went to school together in a small town near Waco, Texas. She has been featured on CBS' "Undercover Boss" and recently authored a book. She's a true inspiration. Always be present in the moment - try not to grow up too fast!!! Also, under no circumstances should you let others define your path. Be persistent, but learn to walk away from something that's going to fail. When you look at failure as an opportunity to learn and grow, you will become more fearless and willing to take more risks early in your career. Finally, I would recommend she lean into her passion for science, technology, engineering and math. Ensure your success by giving focus and energy to your relentless pursuit of information and education around these areas of interest. I would want to master multiple foreign languages. I work in a global capacity in my current position and would love to speak and write fluently in at least 5 languages - Spanish, Chinese, Japanese, German and French. The Promise of the Sunflowers by Diane Gray I had the privilege of finding the book through my Mother who is personal friends with Franz Elmer, who tells his story to the author about growing up German in Yugoslavia during WWII. He shares the joy and desperation his family endured from the perspective and resilience of a child during this tragic time in our history. At times, the story is extremely sad and cruel; however, it is so well written you can feel his family's closeness, love for each other, and hope for a better future.